Lobo do Mar, Lda. 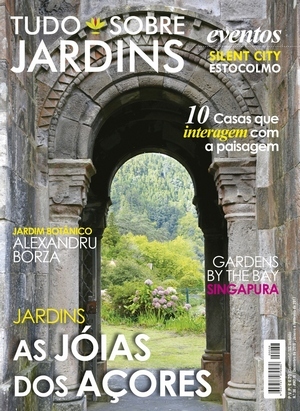 (“Lobo do Mar”) operates several websites including Nautica Press.com, Tudo Sobre Jardins.com, Lobo do Mar.net, passear.com and Passear.com. It is Lobo do Mar’s policy to respect your privacy regarding any information we may collect while operating our websites. Certain visitors to Lobo do Mar’s websites choose to interact with Lobo do Mar in ways that require Lobo do Mar to gather personally-identifying information. The amount and type of information that Lobo do Mar gathers depends on the nature of the interaction. For example, we ask visitors who sign up for an account at passear.com to provide a username and email address. In each case, Lobo do Mar collects such information only insofar as is necessary or appropriate to fulfill the purpose of the visitor’s interaction with Lobo do Mar. Lobo do Mar does not disclose personally-identifying information other than as described below. And visitors can always refuse to supply personally-identifying information, with the caveat that it may prevent them from engaging in certain website-related activities.